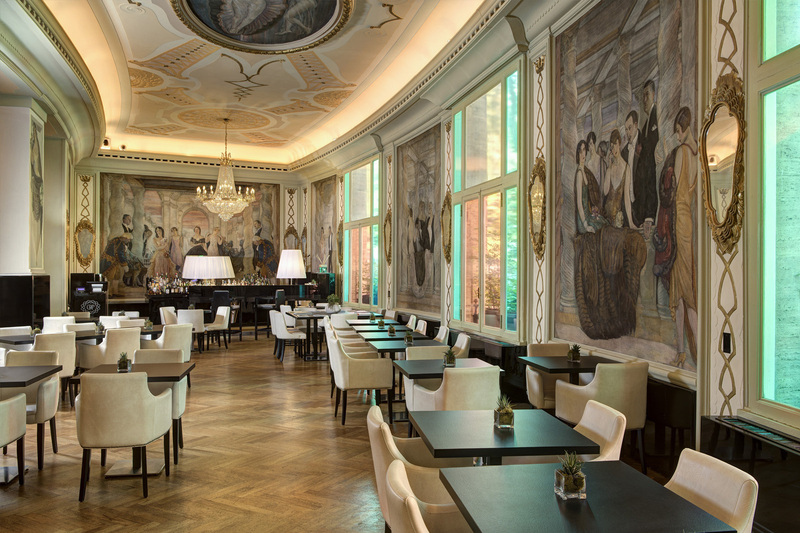 Whether you're looking for the perfect place in which to spend the afternoon with a coffee or sip a cocktail before dinner, enjoy a quick lunch or formal dinner, the restaurant, bistro and bar at the Grand Hotel Palace have something for everyone. 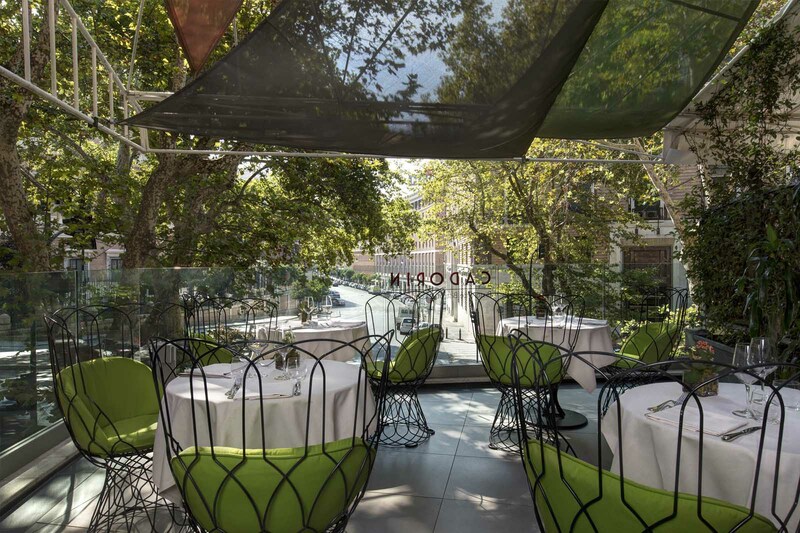 Guests can try the unique cuisine of the Cadorin Restaurant & Lounge Bar both in the dining room finely frescoed by the painter Cadorin, and on the restaurant terrace. 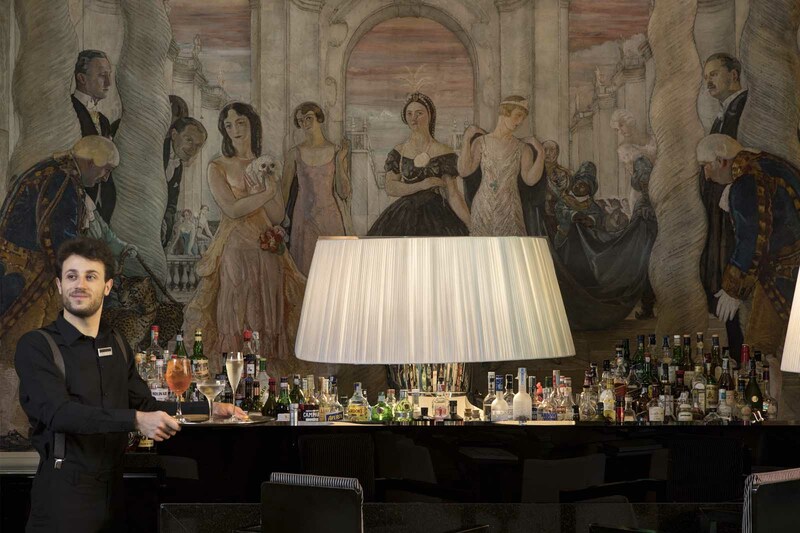 The Cadorin Restaurant & Lounge Bar and its menu perfectly embody the uniqueness of their Chef Riccardo Zanni. 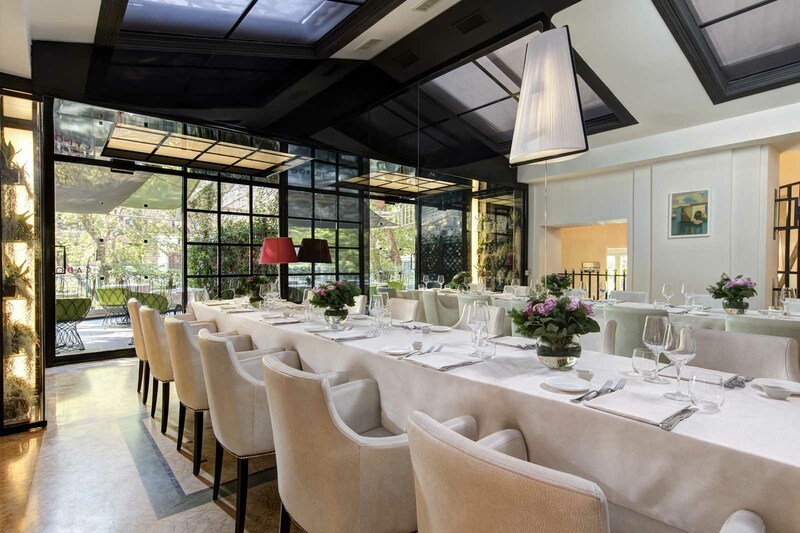 Every dish is characterised by ethnic fusion and a strong connection with each of the five continents. This is in honour of the former name of the hotel, Hotel Ambasciatori (Ambassadors), which was once called Palazzo degli Ambasciatori (Ambassadors' Palace) in Rome and had been a point of reference for the diplomats who stayed in the capital. Naturally, the more nostalgic among us will be pleased to see that the dishes of Italian tradition have remained. 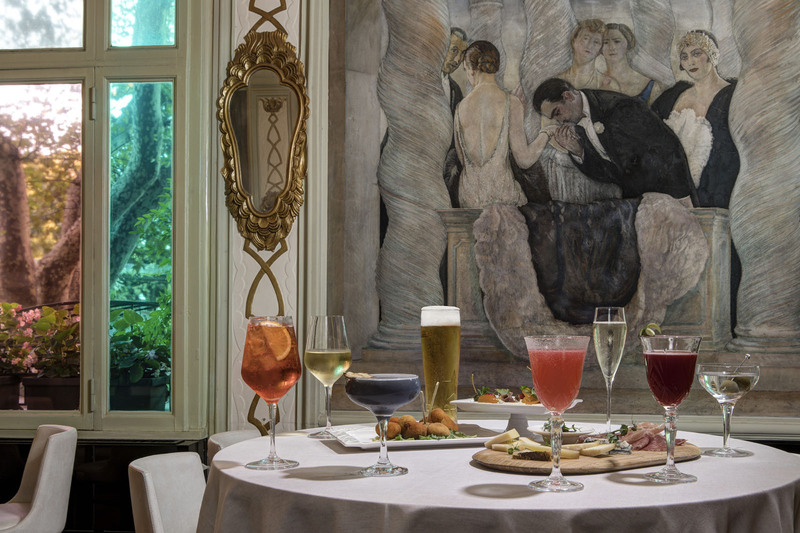 And tasting these against the backdrop of frescos by the Venetian painter Guido Cadorin is priceless. An exceptional culinary offering sure to satisfy the more classical palates as well as those wanting to experiment, but always backed up by a quality guarantee. • Opening hours: Service all year round. From 7 am until 11 am Buffet or À la Carte Breakfast and from 11 am until 11 pm Culinary and traditional Italian Menu, snacks & cocktail bar.